To access the Plan Edition menu, go to Step 1 of Initial Information and click Load older plans. A list of plans will be loaded. Click on the plan you want to edit. Here you can change the driver assignment. 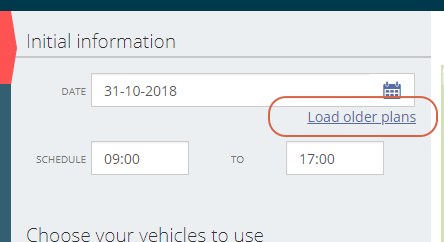 To make changes to the route, click on the Load button. You'll go to the step 3, Routes. If you want to add new stops, you must click on 2. Visit (blue arrows above the map). 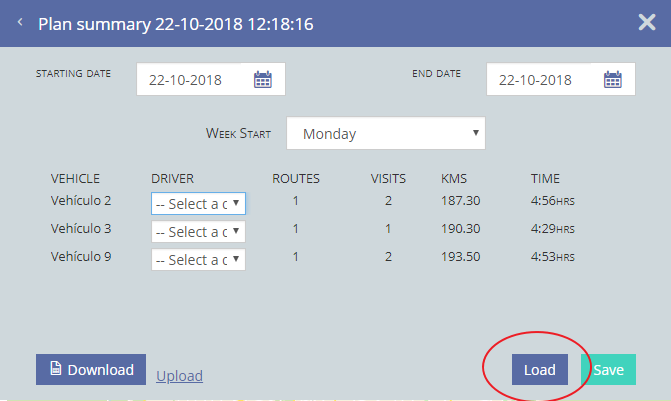 If you select Overwrite routes, your new visits will be included in the most optimal place of your route, and the previous route order may change. You can manually move these visits from Unassigned to any vehicle. Check this article to learn how to manually edit your routes.